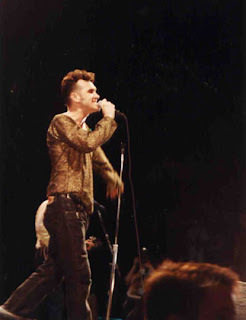 The legend that is Morrissey will be at The Riverside Theater May 12th. I have to see this show. My friends have seen him perform and they all tell me it's high time I join them in an evening of angst, love, lust, and intrigue. The show is general admission and you know what that means, a push to the front of the stage the second that the doors open up. If I could recommend any Morrissey cd, it would be You Are The Quarry.